The UK is likely to be offered a Brexit aviation deal that dramatically restricts British carriers' access to routes inside the EU, under plans presented by the bloc's leadership to member states yesterday. The UK will get an agreement loosely modeled on the standard one that the EU has with the US, offering up to only the first four or five of nine internationally recognized "freedoms of the air." That is among the lowest forms of access for foreign routes, and falls far short of UK carriers' current rights to fly freely around the bloc. The agreement will also contain constraints on ownership, and provisions for aviation safety and security, according to an official who attended yesterday's presentation. At the moment, as a member of the EU's single aviation market, UK airlines have the right to fly between any points in the bloc, including routes within a single state — known as the full nine freedoms. Common safety rules are enforced by the European Aviation Safety Agency. The UK is also party to seven aviation agreements that the EU has struck with external states, including the US, Canada and north African states. The UK’s decision to exit the EU's single market, combined with the confrontational political dynamics of Brexit, will result in a much more restrictive arrangement, the presentation said. This will force UK- and EU-based airlines to restructure their operations to maintain market access, likely driving up prices for consumers. At the presentation yesterday, the European Commission told a gathering of EU national representatives that it proposed granting the UK only the third and fourth freedoms — the ability to fly from a British airport to one in the EU and vice versa, according to an official in the room. The proposal was supported by a slideshow shown to those attending. Commission officials added that there could also be a “potential” fifth freedom — the right for planes to fly from their home country to a second and then on to a third. Fifth-freedom rights are featured in the EU’s aviation deals with the US, Canada and Israel. This might have a significant impact on the UK’s significant role as a hub for flights between Europe and North America, which is aided by the EU’s US and Canada aviation deals. The UK accepts that it will lose the right to fly internal EU routes, and has said short-haul airlines such as EasyJet have been “smart” to set up subsidiaries inside the EU to preserve market access. But transport secretary Chris Grayling told lawmakers that the UK places a high priority on preserving “fifth-freedom rights — the right to fly from New York to London to Paris”. “The issue would be much broader than the relationship between the UK and the EU, were anybody seriously to try to interfere in that,” he said, noting that European carriers such as Air France and KLM had bought a stake in the British carrier Virgin Atlantic. The Brexit seminar was told the UK agreement would also contain provisions on code-sharing — allowing other airlines to place passengers on the same flight — and on ownership and control of airlines, which under EU law limits single-market privileges to airlines that are majority-owned by EU citizens. The UK's Civil Aviation Authority has said it would welcome exiting the EU’s strict rules on ownership and state aid, in order to bring more investment and competition into the UK air market. But officials say this is a secondary concern to securing access to EU routes. 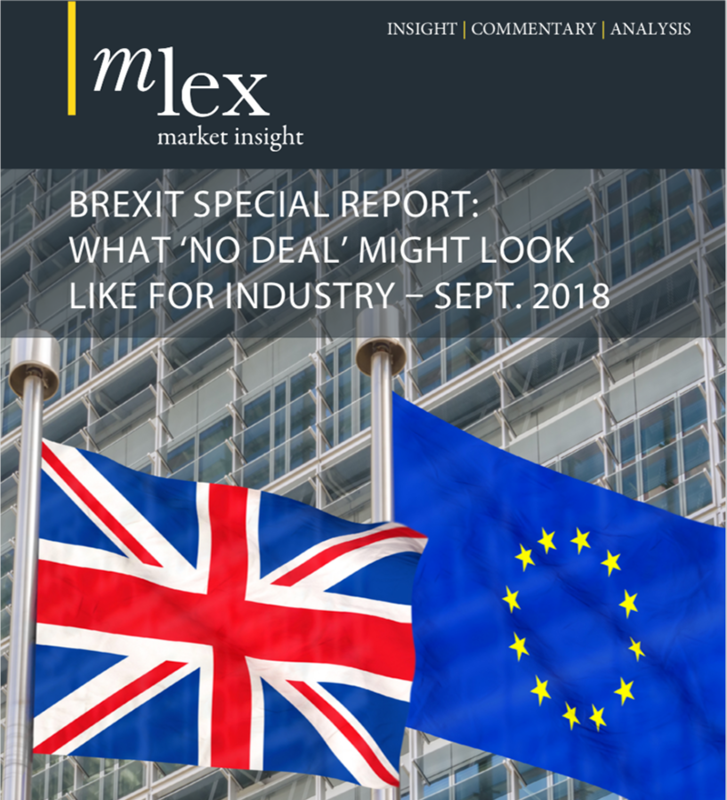 The EU slides note that the UK’s “unique proximity/market size” will heighten the need for a “level playing field,” suggesting provisions on competition and state aid will likely feature. MLex understands that the agreement would also contain a “one-stop security” agreement — a deal where the EU recognizes a foreign state’s security standards as equivalent to its own, meaning passengers and cargo don't need extra checks when transferring at EU airports. Such agreements have previously been made with the US, Canada and Montenegro. Alongside a deal on flying rights, the commission anticipates a bilateral aviation safety agreement that will bind the UK to common standards. Its presentation notes that a standard feature of EU aviation agreements is granting market access in exchange for its partners converging on EU regulatory standards. However, EU negotiators said it is “not possible” to consider accepting a UK government request to remain in the European Aviation Safety Agency, which draws up and enforces common rules around the bloc. Instead, the UK Civil Aviation Authority will need to take on responsibility for upholding air-safety rules, including conducting airworthiness inspections and certifying staff. This move will force the CAA to recruit considerable numbers of experts. The CAA has lobbied fiercely against the UK exiting the EASA regime, saying it makes little sense in an era of globalized safety standards. It will likely also result in increased administrative burdens for manufacturers and airlines, because they will need to comply with both CAA and EASA rules to operate cross-border. The UK government’s business department said in a paper in November that Britain’s relationship with EASA was the “greatest concern” of the aerospace manufacturing industry. “The most significant non-tariff barrier for the civil aerospace sector would be the processes and requirements for airworthiness certification,” it said. The UK will also need to replicate EASA’s agreements with US and Canadian aviation regulators on the mutual recognition of aircraft model certification. The EU presentation says it is possible there could be “simplified certification processes of products” for UK and EU products, if there is “reciprocal trust.” This could be facilitated through a cooperation agreement between EASA and the CAA, but it would fall short of automatic “mutual recognition” of UK standards. The EU executive envisages the UK maintaining aviation-market access during a Brexit transition period, which it wants to end in December 2020. During this period, UK experts will no longer take part in EASA decision-making. The EU is likely to issue more notices to inform the public and the aviation industry of measures they need to take to “anticipate and adjust” to the UK’s coming exit. In the case of the UK exiting the bloc without a deal, the commission has proposed a “bare bones” aviation agreement, which would contain provisions on landing rights, air safety, traffic security and air pollution. The EU could take unilateral measures to compel UK-based airlines to adhere to EU safety standards as a precondition of landing in the bloc.